If you don’t know the name Marc Fosh, you probably don’t live on Mallorca. He’s still the only British chef in Spain to have been awarded a Michelin star for his cuisine (when he was employed at a country house hotel on the island). He left several years ago to start his own business in Palma. Marc Fosh on the terrace of his restaurant in Palma, Mallorca. 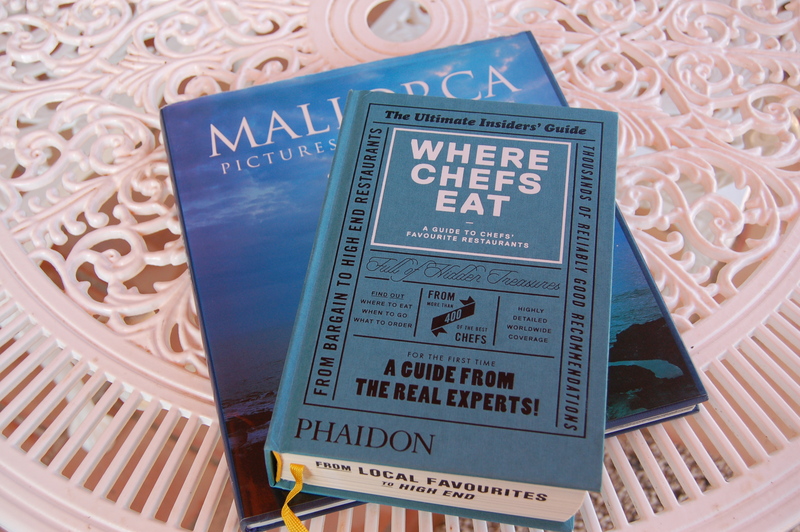 In our early days of living on Mallorca, we stayed several times at Reads Hotel & Spa, where Marc used to create the delicious innovative cuisine that clearly impressed the Michelin Guide inspectors. Being quite a foodie, it’s probably fair to say that Marc’s food, served in what was then called Bacchus restaurant, was the prime reason I liked to stay there. Earlier this year I was delighted to learn that Marc had been chosen as one of more than 400 chefs around the world to be included in a book called Where Chefs Eat, published by Phaidon. I’d ordered the book (directly from the publisher) because it sounded like a very interesting concept and I’d liked their description of it as ‘the ultimate restaurant guide chosen by the real experts: more than 400 of the world’s best chefs from Heston Blumenthal to René Redzepi and David Chang.’ The book was compiled (and what a lot of work it must have been) by Joe Warwick, food writer and co-founder of The World’s Best 50 Restaurants awards. This wasn’t going to be a particularly useful book for us as we rarely travel off Mallorca: we have an old finca to maintain which gobbles up the money we would probably otherwise spend on travelling. In fact, the book I ordered did more travelling to reach me than I’ve done for years. It arrived several times in Palma, only to be sent back to the publishers as undeliverable. It also made a couple of visits to Birmingham in England (a city not featured in the guide) on its circuitous journey to me. Long story short, it finally arrived after a series of emails and phone calls – and several months. Zaranda (with one Michelin star). Note: For 2016 and 2017, Zaranda has had 2 Michelin stars. Thanks, Julie. I’ve just ordered a Hurom juicer (birthday present to self) from Lakeland – fingers crossed it arrives before Christmas! You’re right – if Marc Fosh likes Ca na Toneta it has to be good.